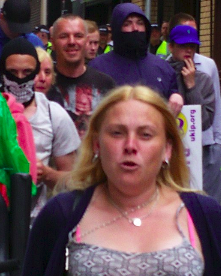 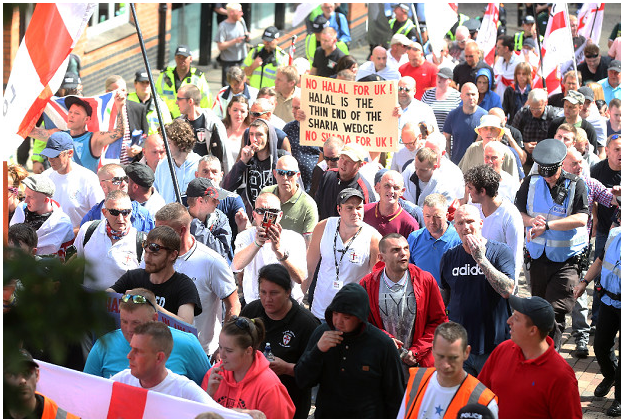 So the EDL marched in Nottingham, last month, or was it the far right extremist Casual Infidels? 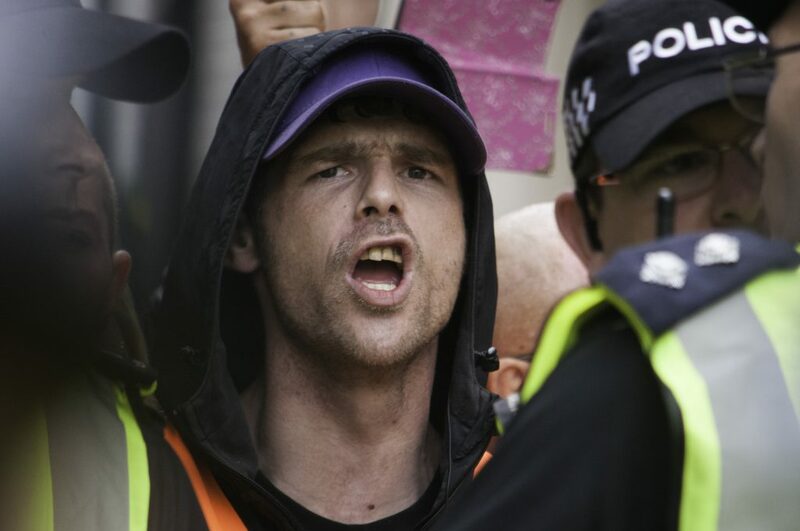 So many of the same faces popped up that it was hard to tell the difference, but then the fascists have always been an opportunist lot. 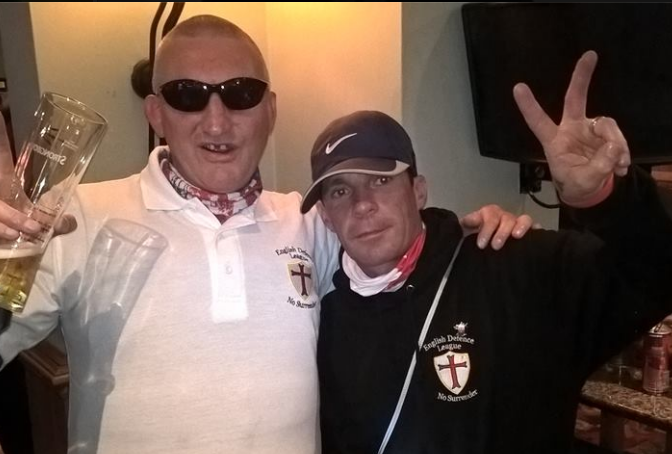 EDL, BNP, National Front, EVF, Casuals United, Infidels – all different names for the same bunch of losers, who shift alliances according to where they can get the most cash, gullible followers or both. 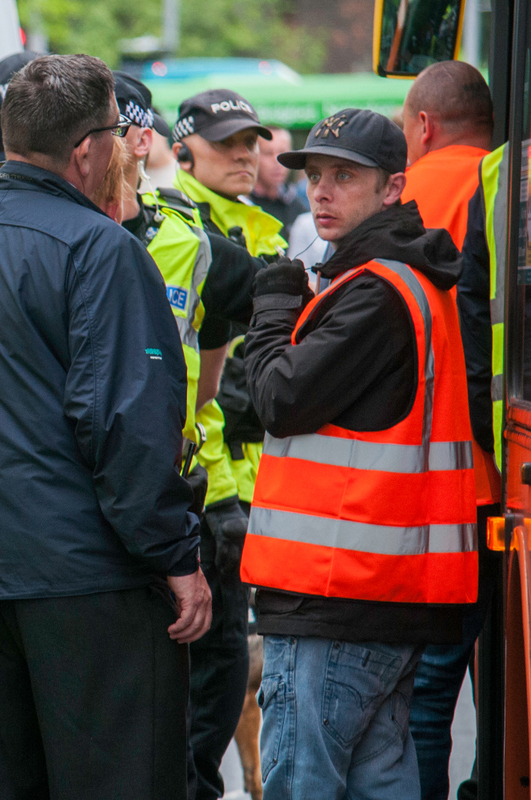 While they were enjoying their taxpayer funded street drinking – was it the cops or the local council who generously provided their portaloos? 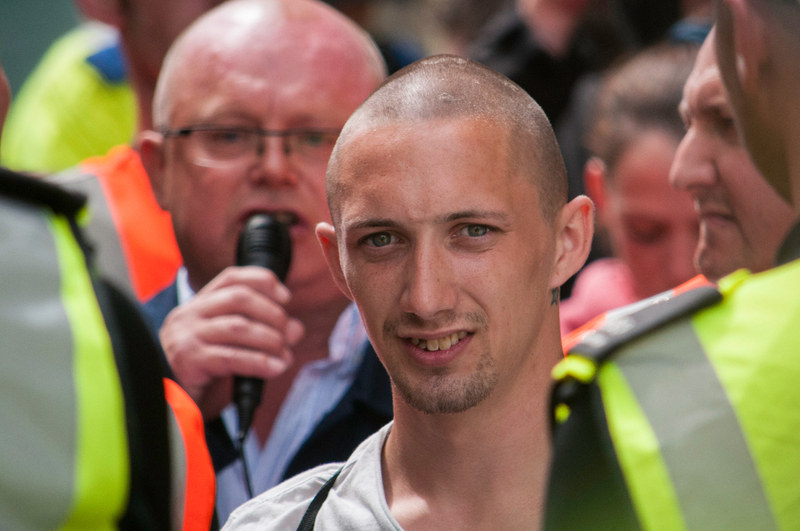 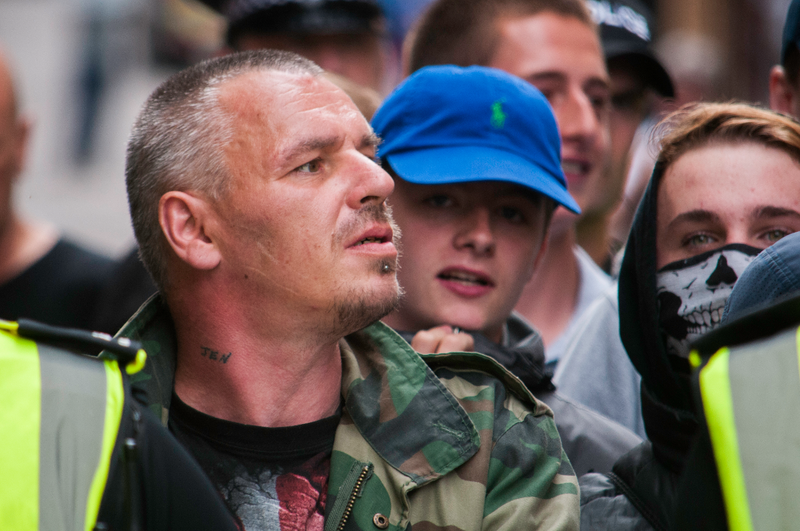 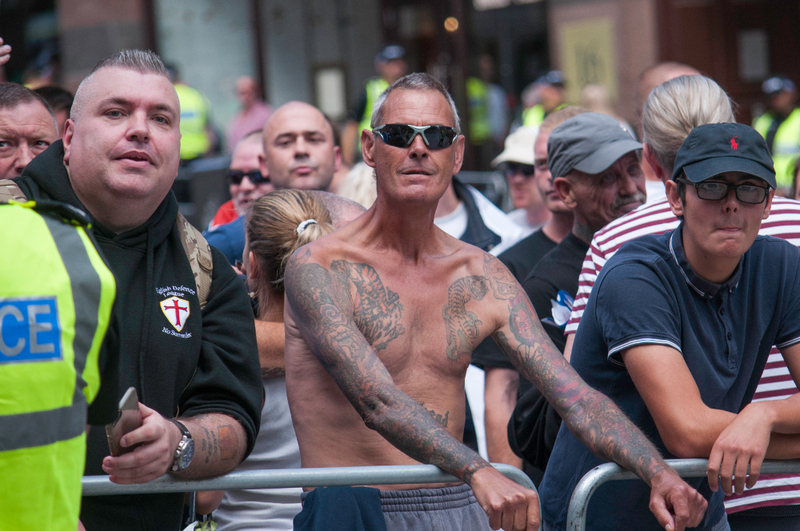 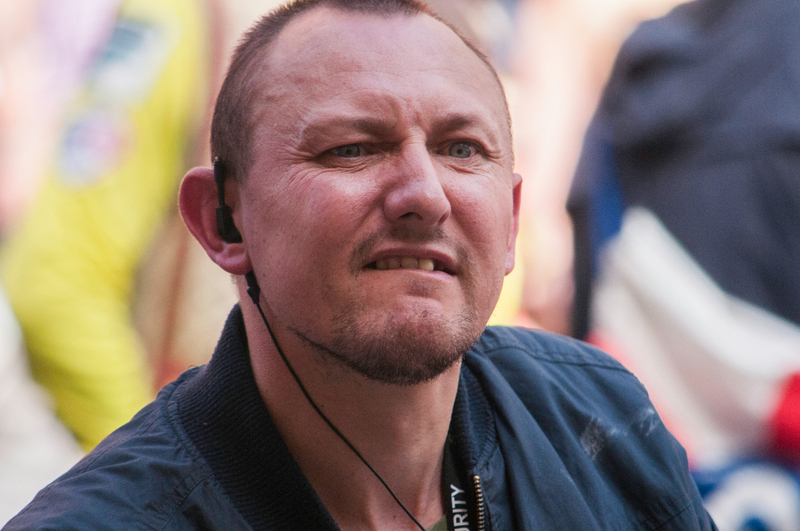 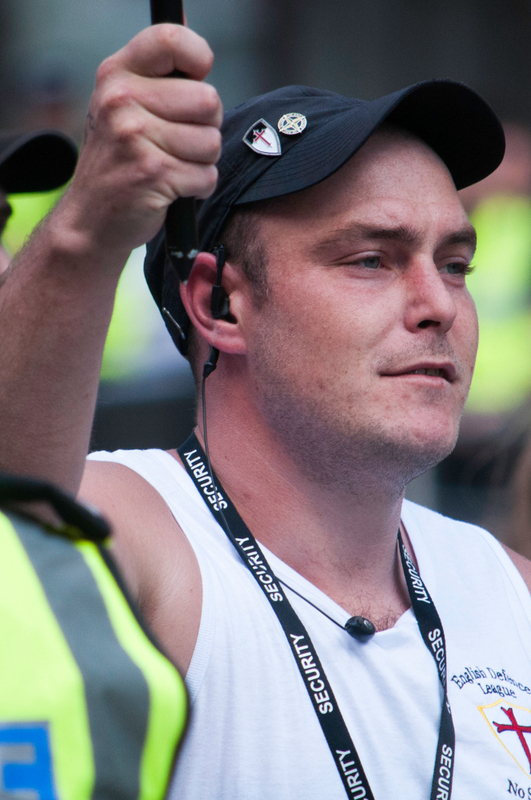 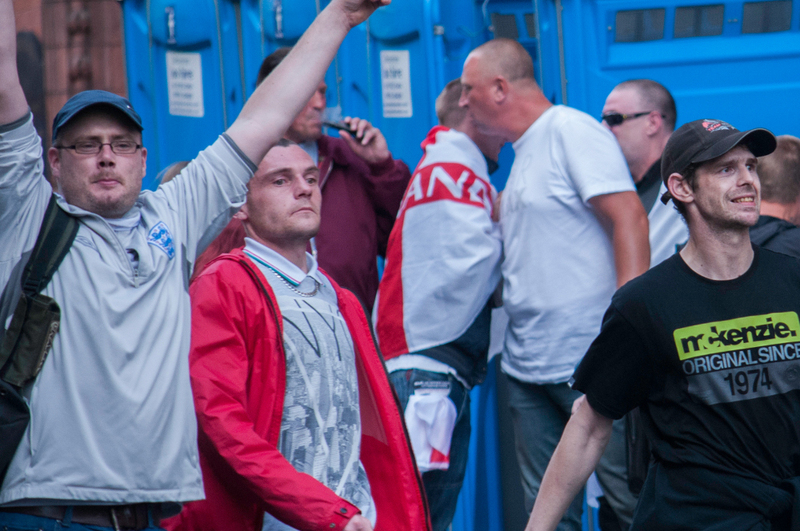 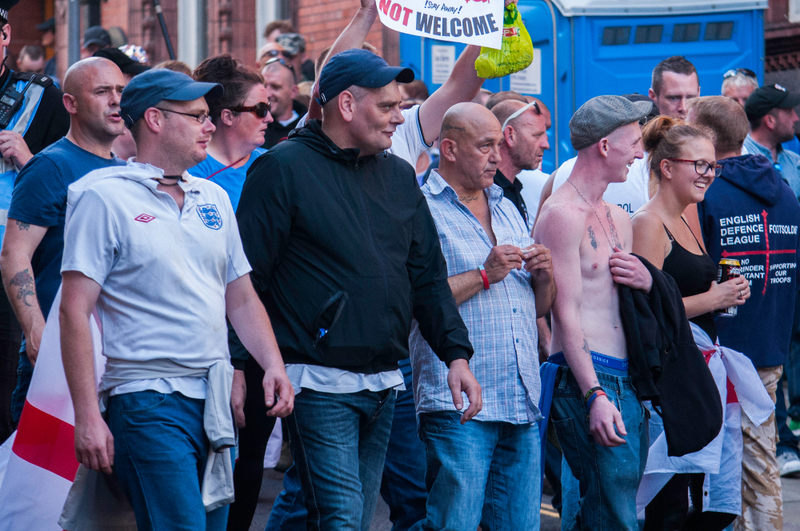 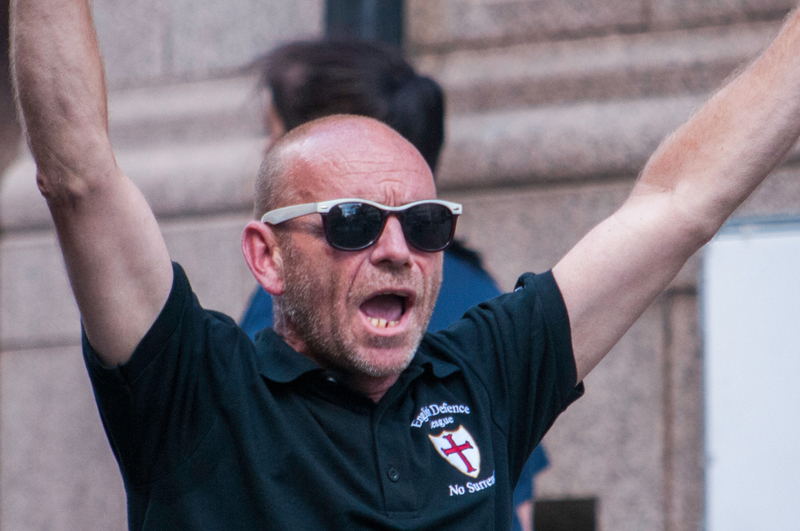 – we took the opportunity to document the diehard few who still cling to the EDL banner. 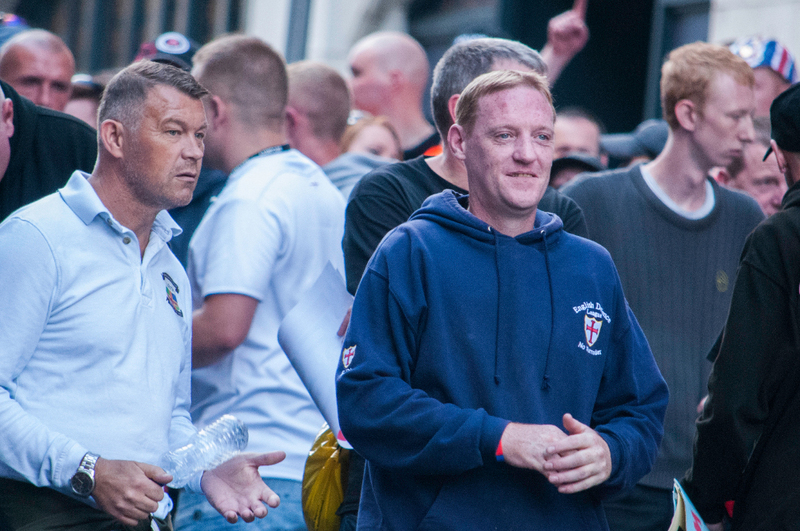 All of the main organisers and participants from the previous Casual Infidels outings were there, including Daniel Hall, Jack Stevens (who got convicted of criminal damage for throwing a flare at the demo just this week), Craig Burridge, Andrew Shaw, Jimmi Rae, Adam Repton, and Ian Kellett. 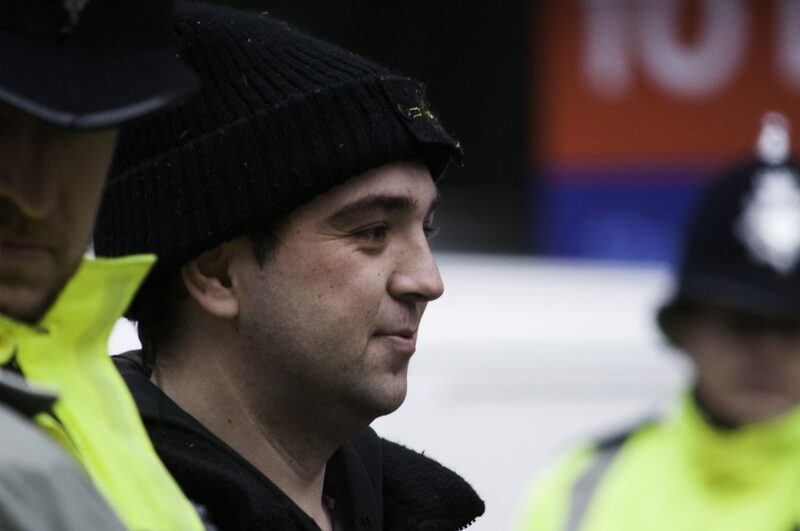 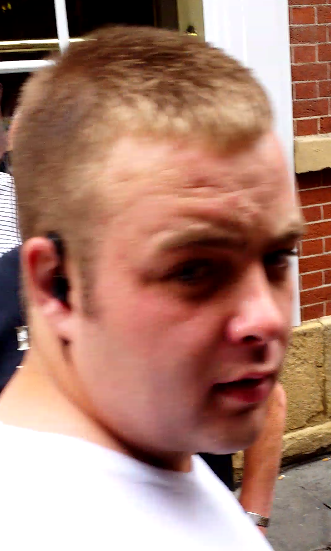 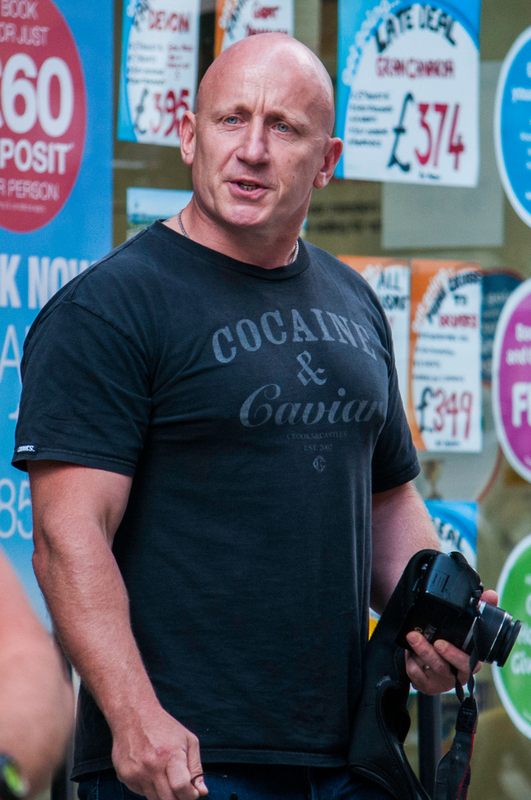 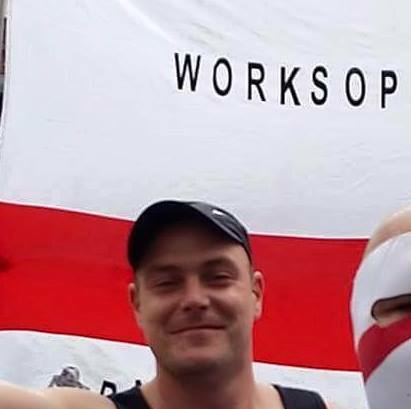 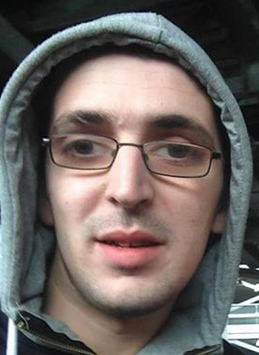 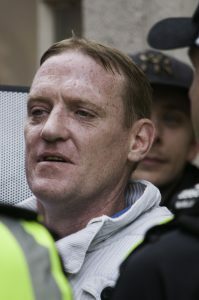 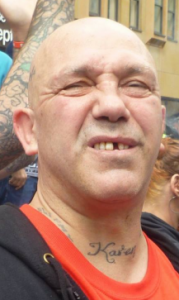 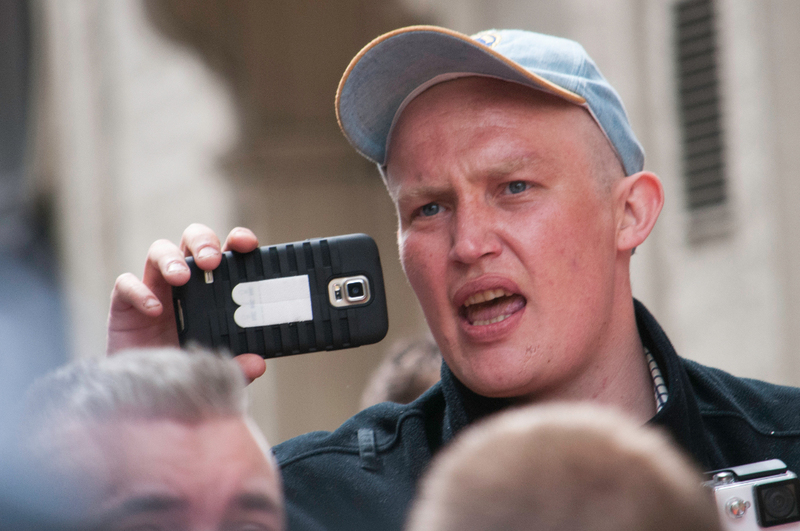 In fact, Worksop’s Craig Burridge – a key Casual Infidels organiser – was one of the EDL’s security crew. 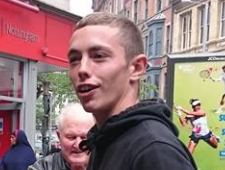 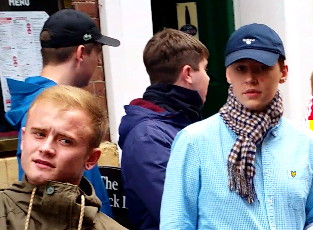 There were a lot of other faces from other parts of the country who turned up to the last Casual Infidels demo as well: Luke Hathaway (Walsall), Spencer Shirley (Colne), Conrad Ayscough (Halifax) and Gaz Jones (Manchester). 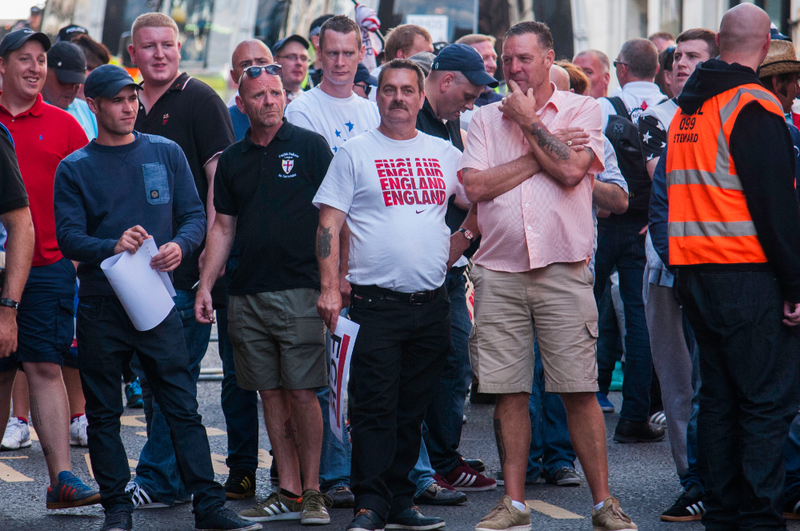 In addition to the Casual Infidels, the few members of Leicester EDL who have stuck it out turned up including Craig Elliott and Simon Smith. 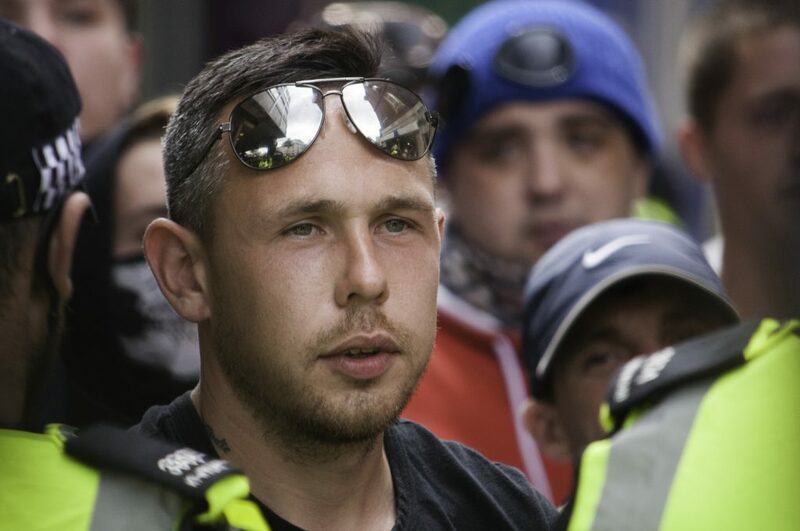 Another familiar face from the Notts Casual Infidels demo was this chap (see picture below) who turned up with his camera to take a few pics for Redwatch. 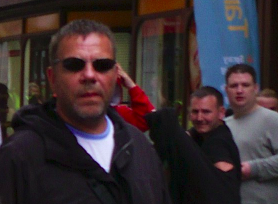 He was also trying to pass himself off as a bystander at the Notts Casual Infidels demo in July.